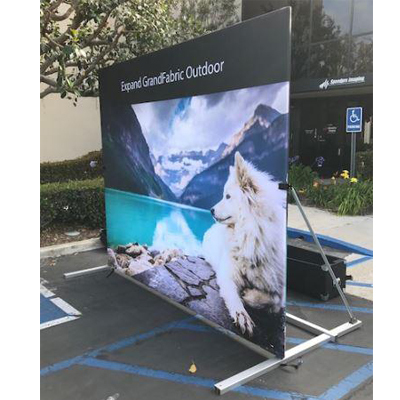 An outdoor backwall for any weather condition! 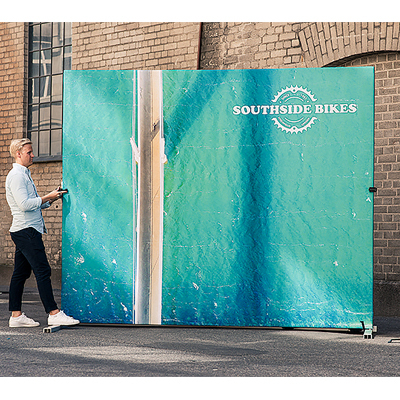 With the use of the Expand Outdoor Conversion Kit - you can now take your Expand GrandFabric outdoors regardless of the season or weather conditions. It has been designed for long-term outdoor use and can be placed on different surfaces such as sand, snow, grass and asphalt as it comes with several support options. 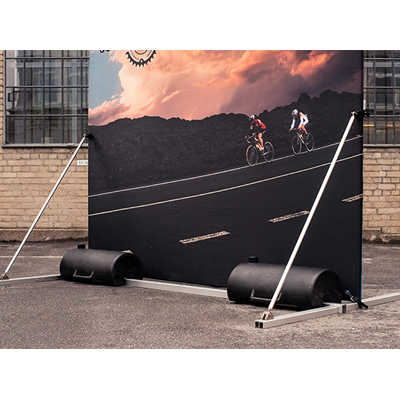 The Expand GrandFabric is a large seamless freestanding 'sleeve' fabric display system and with the addition of the Expand Outdoor Conversion Kit, you can now take this portable display outside for all your outdoor event and sponsorship activities. 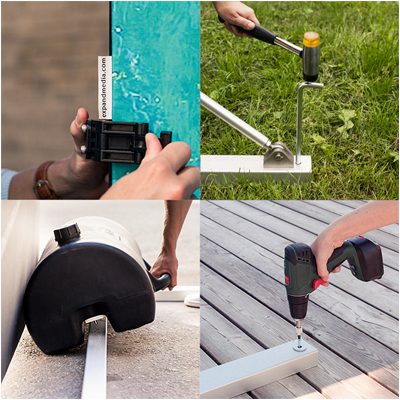 The Outdoor Conversion Kit comes with two support bars which clap onto the sides of the frame and lock it in an upright position, outdoor support feet and a weighted bar which folds out and fits across the top of both feet from behind. Robust frame engineered from high grade lightweight aluminium. 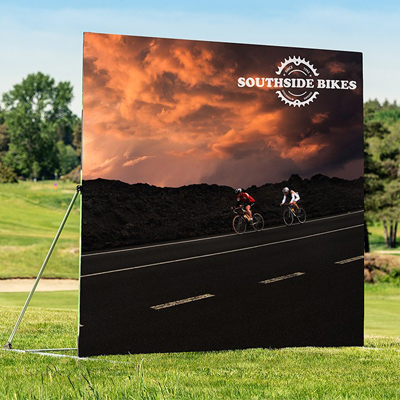 High quality water proof fabric can be changed out to suit your target audience. Fabric print can be single or double sided. Can be used on most level surfaces such as asphalt, sand, grass and concrete. Optional ground stakes and water tanks available for when extra stability is required in light winds. Can withstand a maximum windspeed of 30kph with two water tanks attached. Premium, durable fabric designed and tested for long term and frequent use.